The government’s energy price caps are aiming to assist 12 million of the worse off homes in the UK to access better energy deals and end the two-tier energy class system. What Does the Price Cap Mean? The safeguard tariff for prepayment customers came into effect in April 2017 and will last until the end of 2020. This price cap prevents the energy companies from raising the prepayment tariffs over this period which should allow these tariffs that are much higher to gradually come more in line with other non-prepayment tariffs. Approximately 4.5 million customers are impacted by this price cap. In simple terms, the Domestic Gas and Electricity (Tariff Cap) Bill will allow the government to impose temporary tariff price caps on the default standard variable tariffs through the energy regulator, Ofgem. This will prevent energy companies from continuing to increase the prices on these already heavily inflated prices above the fixed tariff rates. It is worth noting that this is currently just a bill showing the proposed actions and it has yet to be passed as an Act that will make the Price Cap enforceable. In February 2018, some of the most vulnerable energy customers in the UK who receive the Warm Home Discount (an existing scheme which assists the poor households to pay their energy bills, mostly the elderly) were given a price protection. This extended the safeguard tariff given to prepayment customers to Warm Home Discount customers not on prepayment meters but on standard variable tariffs giving them price protection like the Domestic Gas and Electricity (Tariff Cap) Bill will do for a wider number of customers. This could impact up to one million customers. The Warm Home Discount safeguard tariff ends in December 2019 if it has not been replaced by the Domestic Gas and Electricity (Tariff Cap) Bill before then. In 2013, the government asked Ofgem and the Office of Fair Trading to investigate the energy market as a result of the rising energy prices and dominance of the Big Six suppliers. This led to a market investigation starting in June 2014 by the Competition and Markets Authority (CMA). They published their findings in a report in June 2016. The Competition and Markets Authority investigation found that energy customers were collectively paying £1.4 billion more a year than they would pay in a market that actually competitive. It found that the most vulnerable customers were the worst off as they were more likely to be on the most expensive tariffs. A large part of the reason for this is the industry practice to place customers on default standard variable tariffs whose rates are considerably higher than any of the other tariffs. This inequality did not sit with the aim for a fairer Britain and a market that should be serving its customers and being truly competitive. The Energy Market Investigation (Prepayment Charge Restriction) Order 2016 was made as result of this investigation. And in April 2017, the prepayment safeguard was introduced which capped the tariffs on prepayment meters covering 4.5 million UK energy customers. In February 2018, the safeguard protecting prepayment customers was extended to cover a further million vulnerable customers who were in receipt of the Warm Home Discount who were on standard variable tariffs. On 12 October 2017, the draft Domestic Gas and Electricity (Tariff Cap) Bill was published by the Department of Business, Energy, and Industrial Strategy (BEIS) which laid out how the government’s proposal to introduce a temporary price cap on variable and default tariffs. This would give Ofgem the power and duty to impose these tariff caps by winter 2018. How Will These Price Caps Work? The prepayment meter safeguard tariff came into force in April 2017 and is preventing energy companies from increasing the prepayment tariffs through capping the tariff prices. This price cap will be in place until 2020. The draft Domestic Gas and Electricity (Tariff Cap) Bill sets out that the temporary price caps will be in force until at least 2020 with the ability to extend this each year, if the conditions for an effective marketplace have not been met, to a maximum of the end of 2023. If the proposal is passed it will detail how the cap should be calculated and the same price cap will apply to all suppliers. The Utilities Act 2000 will be amended to reflect the price cap. The price cap does have some conditions though as it needs to balance protecting customers on these tariffs without removing the incentive for homeowners to switch suppliers for better deals. This is largely due to the monopoly that the Big Six energy companies have on the UK energy market which has made them uncompetitive and standards of customer service poor. The price cap also needs to incentivise the energy companies to improve their efficiency, promote healthy and effective competition, and not penalise those energy companies who already operate efficiently and prevent them from financing their authorised activities. Are There Any Exemptions to the Price Cap? Prepayment tariffs that have already benefitted from the Prepayment Charge Restriction will exempt from this price cap as they are been handled outside of it. Environmental tariffs are also exempt where the customer has chosen to purchase the tariff because of its environment claims. Why Can the Government Impose These Price Caps? The UK energy market operates under license from the government and these licences are administered and regulated by Ofgem on behalf of the government. Within these licences are conditions that the government can impose in order to regulate and impose sanctions on the market. Energy is a seen as an essential service to homes and businesses and therefore the energy market needs to be held to a high standard. In the past, many governments have left the market to operate largely by itself in terms of pricing and hoped that opening up the market to competition would drive down prices and create a fairer marketplace. But this has proven not to be the case as a two-tier energy class system has formed and intervention is necessary to end this unfair practice of disproportionately penalising customers who do not switch tariffs. Despite the warnings about this planned price cap many energy companies have failed to address the issues around pricing and have continued to pass on excessive costs to these customers. Ofgem is criticised for not exercising its powers to protect energy customers and in particular those who are most vulnerable. These energy price cap initiatives have been created to not only give Ofgem the power to impose these prices caps but to place a duty on Ofgem to implement it and directly tackle these unfair practices. Do the Energy Companies Have to Charge These Tariff Rates? The energy companies will not be able to charge over these price capped rates on their standard variable tariffs but they can charge below it. Many smaller or new energy companies have been set up on the principle that they charge fairer rates for those customers on prepayment tariffs or do not penalise customers on standard variable tariffs by setting their energy prices at more comparable rates across all tariffs. These energy companies will not be impacted if they are set below the price cap. It could, however, result in some energy companies increasing their tariff to the price cap level. What are Standard Variable Tariffs? Often customers are completely unaware that these tariffs have been applied to their energy accounts and that they are paying considerably more for their energy. The average energy customer who is on a standard variable tariff can be paying up to £300 more a year on their energy bills. Standard variable tariffs are not fixed tariffs and the rates change depending on the market costs of energy so they can be subject to changes without notification. There is no contract period for these tariffs and customers can exit these tariffs at any point and without a penalty but they are not clearly informed of this and customers often just accept the tariff, too busy to think about switching, or are unaware how easy it is to switch. Some customers may be restricted from switching suppliers but mistakenly believe that they are stuck on their current tariff. However, these customers can ask their current supplier to offer them a better tariff to reduce their bills. Accessing cheaper tariffs can be difficult for some vulnerable customers as suppliers often restrict their best price tariffs for those who can pay monthly by fixed direct debit and manage their account online. This often prohibits some customers from these tariffs as they do not have access to the internet or the ability to pay by direct debit. Will These Price Caps Change the Energy Market? A parliament scrutiny report states that they do not think the recommendations from the market investigation will be enough to repair the broken UK energy market anytime soon and that further intervention is needed. 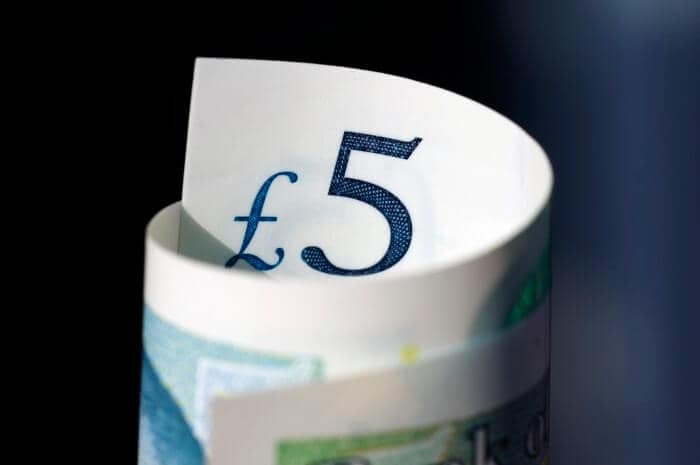 The parliament scrutiny report also states there is a risk that the price caps may result in the lowest tariffs being increased to maintain profit levels rather than the companies making efficiency savings as the proposed bill suggests. An absolute cap may also result in some companies increasing their tariffs to the absolute cap. Both these risks would result in customers paying more for energy. Ofgem has voiced concerns that the environment tariffs being exempt from the price cap gives the energy companies a loophole that might be exploited by some and therefore the bill should be amended to prevent this from happening. It is also hoped that smart meters will also play a part in improving the energy market, and the goal is that the rollout with be complete by 2020. But by 2020 when these initiatives end, there are concerns that without enforcement and the market returning to govern itself, many energy companies may return back to the same pricing strategy and smart meters will not deliver on the hope of empowering customers with knowledge. And many calls for the government to confirm what their longer term plans are to protect the most vulnerable customers as the current plans are only a temporary plaster-like fix. Many energy-related organisations welcome the introduction of the price cap but some have concerns over the wider pricing cap on all standard variable tariffs as it sends out the wrong message to these customers that their bills will be lower and they should be switching not relying on price caps. Some also state that the price cap will not improve the energy market on the whole as it does not address all of the issues. Energy companies have criticised the proposed bill as they feel it will reduce competition and hamper innovation in the market as the price cap will reduce their capabilities to differentiate in a busy marketplace. One has even quoted that the bill is the reason behind its redundancies to cut overheads.